I never understood the point of Flash of Insight, nor did I include it in my version of the deck. And I’m still skeptical of the Freed from the Real combo. Is this deck really going to tutor for Bloom Tender then try to put a 3 mana aura on it? Am I missing something else this card does? 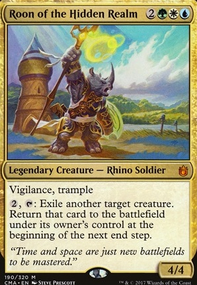 I think with this commander some more haste-giving stuff and more tutors will help you since Etrata wants to sling combat damage and go back into the deck. For haste I would add in one or two more things like Chariot of Victory. For tutors, I would suggest a Tunnel Vision to use on yourself. Long-Term Plans, Parallel Thoughts, and Distant Memories. 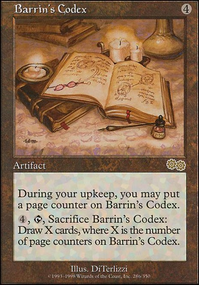 Also cards like Flash of Insight or Prosperity seem useful for trying to dig through your deck. Megalomania a lot of ther people use Krosan Reclamation instead of Timetwister, would you say that Riftsweeper is better? hurricane219 I think Delay is another useful endgame counter so I probably wouldn't remove it, Flash of Insight is great in a longer game where some wincons have been nullified. Personally, I don't see a great use for Gitaxian Probe and will probably replace it with Assassin's Trophy. 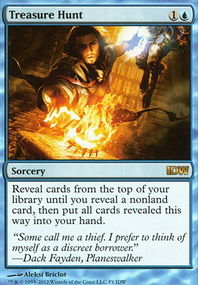 I was thinking Delay or Flash of Insight for Assassin's Trophy. What are everyone’s thoughts? Deep Analysis draws a card, Flash of Insight does not. 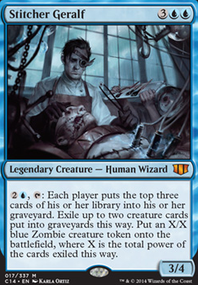 That means Laboratory Maniac will trigger it's replacement effect on Deep Analysis, and not on Flash of Insight. 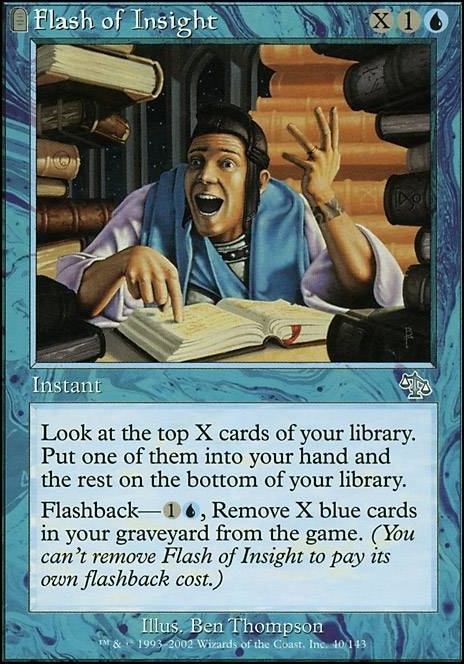 Flash of Insight is instant speed and doesn't cost 3 life, and has (basically) the same flashback cost as Deep Analysis so you can use it in response to any targeted removal of lab man, its a really clutch card for me. I didn't see Beast Within or Reality Shift in your list, i never thought about putting banana ball combo into Sidisi. For me I would rather see Hermit druid first, flash/ hulk second, and food chain last. 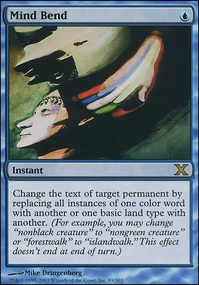 They all lead to milling the deck for a dread return, but food chain allows an opponent the most interaction to stop us. 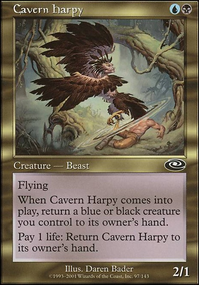 Winding Canyons Alchemist's Refuge removes half of the available interaction, but still leaves us open to instant speed removal of food chain while a creature is on the stack. Then if something goes terribly wrong ill go for the lab man win through either Flash of insight, or hapless researcher. What do you think about Intuition as another way to palm a flicker effect? It could also be used as an outlet similar to Flash of Insight.